To observe the ‘International Day against Drug Abuse and Illicit Trafficking’, the drug control authorities on Monday torched about 20 tonnes of prohibited drugs confiscated by them over the year 2016. The United Nations and governments around the world mark June 26 as the International Day Against Drug Abuse and illicit trafficking, an annual event designated by the UN for reflection and action on the use of illicit drugs. However, the event was postponed from June 26 to October 31 due to Ramazan. The ceremony was organised by Anti-Narcotics Force (ANF) under the auspices of Inter Agency Task Force (IATF). The drug-burning event was carried out on the outskirt of Karachi. Pakistan Coast Guards destroyed 160kgs of Heroin, 4,000kgs of hashish, 2,000kgs opium, 40,500 bottles of foreign brand liquor and tins of beer, a press release said. 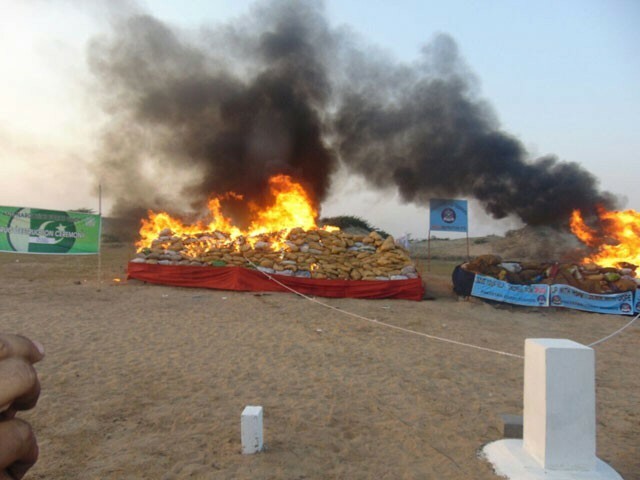 A press release from ANF said that approximately 20 metric Tons of narcotics were burnt which also included five metric Tons of drugs seized by Coast Guard Pakistan says it stands firm to the commitment to fight the menace of drugs and narcotics. “Narcotics is a running sore that is weakening the country from inside. We cannot leave our coming generations on the mercy of drug peddler and smugglers. Therefore, as one voice, we will have to fight against this menace,”said Brigadier Ateeq-ur-Rehman, Director General of Pakistan Coastguards. The ceremony was witnessed by the members of the judiciary, Drug Liaison Officers of different countries and representatives of the venous agencies of Inter Agency Task Force. Anti Narcotics Force (ANF) officials say Pakistan attained the status of poppy-free country in year 2011, and is among the top three countries in global narcotic seizures. According to the United Nations Office on Drugs and Crime UNODC Report on Drug Use in Pakistan-2013, 7.9 million people aged between 15 and 64 use drugs in the country. If drug users outside this band are added, the number may touch 9 million (4.5% of the total population). According to the (UNODC) World Drug Report 2012, in 2011 the estimated annual global production of the cannabis herb was 66,100 tonnes, 9,900 tonnes of hashish were produced, while the production of opium stood at 7,853 tonnes, heroin at 537 tonnes, and cocaine at 1,135 tonnes. 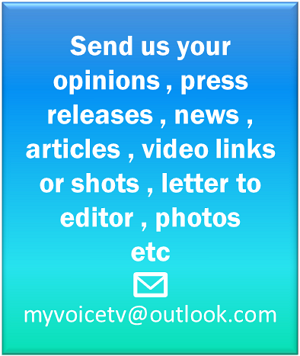 The UNODC World Drug Report 2013 told that of the world’s 4,833 million-strong population aged between 15 and 64, 352 million (7%) used one drug or the other. Afghanistan is the world’s top producer of opium, from which heroin is made and which helps fund the Taliban’s insurgency. Pakistani officials say about 70 per cent of Afghanistan’s drugs are smuggled through Pakistan and Iran, while the rest goes north through Central Asia.